It isn’t hard to tell a great climber from a good climber but what makes them stand out? Is it their big, burly biceps and Popeye sized forearms? Do they have a special ability to handle internal pressure and fear that allows them to move without care? Is it the efficiency with how they climb, making it seem as if they are just floating up the rock? 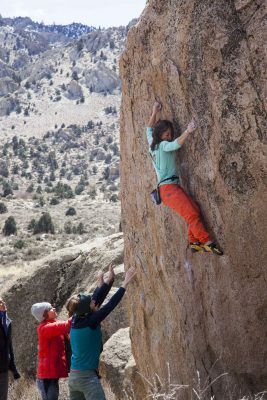 While it would be hard to point to one specific thing that makes an excellent climber, one thing is for certain, there are movement patterns that great climbers do very well. Precise footwork and perfectly timed movement is something all athletes must train if they want to feel and look like a master. 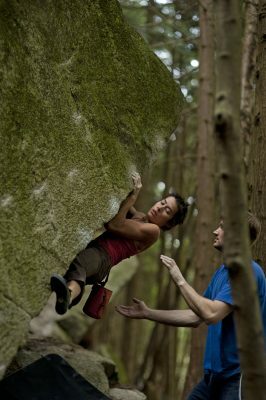 Climbing is no exception! While the drills may seem tedious, play around with the progression and difficulty. Incorporate them into your warm up, arc’ing sessions, and easier training days. Five minutes per drill is great. You don’t want to be doing these on climbs that are challenging, the easier the better. Focusing on executing the movement perfectly, as opposed to trying to send. It will only be a matter of time when the skills become so engrained in your movement repertoire, that without thought, you’ll be doing them effectively, naturally pulling them off on those harder climbs. 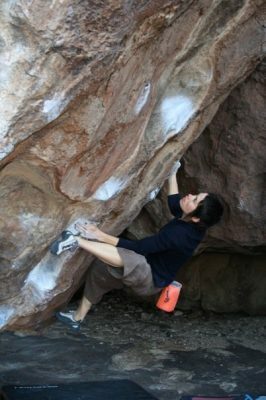 Footwork is one of the most important, yet under trained elements of climbing. Its easy to train and takes little effort. 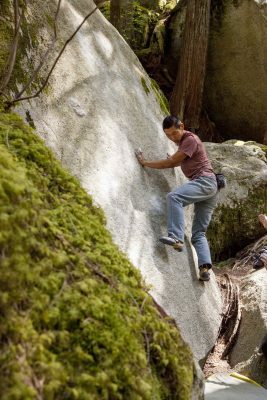 Good footwork can improve you’re climbing immediately; by trusting your foot placement on the smallest holds, less strength is required, allowing one to relax on the climb even more. In this case, it is a matter of going back to the basics. Use ‘attention with intention’. Place your foot precisely, quietly and efficiently as you can muster. Quiet feet - place foot quietly on hold. Turn the music off so you can hear the placement! Do you sound like an elephant or ballerina? Matching & switching feet - switch between right and left feet on the same foothold by a small hop or with a peeling off of one foot as you roll the other on. Again, aim to do so quietly and with precision. Light as a feather. Inside and outside edge - traverse the wall while switching between using only the inside edge of the left shoe with the outside edge of the right shoe and vice versa. I usually notice clients favour on edge of over the other, sometimes for reasons of comfort, others for hip mobility issues. Heel hooking requires hip and leg flexibility, hamstring strength and technique. By keeping the center of your body close to the wall, a good heel hook can serve as a ‘diet’ by shifting the weight from your arms to your legs. The larger leg muscles can take and pull more weight, thus requiring less pull and strength from the arms. Carefully with the knees though! Ideal technique: this various but for most cases, keep the hip opened, toe facing out and slightly downwards, away from wall as seen in image. Experiment doing them on big and small holds. Vary the direction of where the toe points. 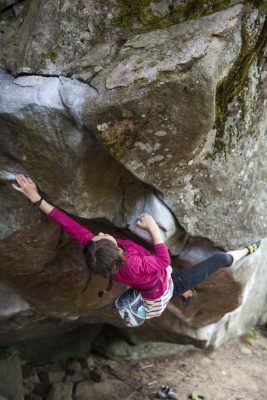 Does the heel hook feel better when the toe is pointing more downhill, sideways, or up? This will vary with the size of the hold and direction that you want to go in. Swiss ball heel hooking: Put hands on the floor to each side, get in a plank position with back up, and feet raised on a swiss ball. With both heels on the ball, pull the ball towards your bum. Try with both legs, progress to one leg. Maintain a planked body during the exercise. Hip opening exercises such as the pigeon and squat pose. Drop knees can increase efficiency of movement in many ways. A good drop knee can take some weight off your hands, get you closer and tighter to the wall, maximize leg power, and increase reach. It can also make a seemingly hard move feel substantially easier if placed correctly. Give your legs, with emphasis on the quads, a good active stretch prior! Train the drop knee on various terrain such as a face to a steeper wall. Notice how the effect can change when experimenting on a 45 degree verses 90 degree wall. Experiment with the direction and rotation of both the hips and toe. Experiment with various hold types and positions; alternating between higher and lower feet, slopers, crimps, side-pulls, etc. Toe hooks help pull us closer to the wall or in a certain direction. They are useful when climbing steep roofs, coming around corners, keeping body tension and more. Toe hooks serve as an extra hand; as the toe pulls forward, our bodies move closer to where that toe hook is placed. When setting toe hooks, practice moving the hands around to alternate pull of feet. Relax upper body, allow the arms to swing straight arm like a monkey. Play around with the pull of the toe hook; notice how the difficulty of holding on changes as the line of the hand and armpit change. ‘Umbrella walk’: walk your feet from toe hook to toe hook, varying steepness of terrain, go wide in reach and direction. Hang upside down with toe hooks set in rings, bleacher stairs, or off a plank of wood... The options are many, just be safe! This exercise can lead to falling on your head! 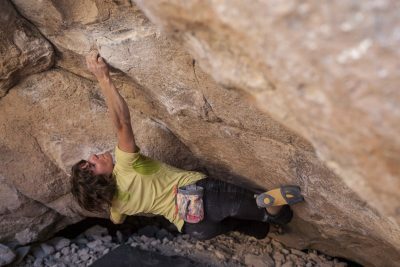 These are just a few of the many techniques found within climbing movement. Practice easy versions of these moves, and as ability progresses, amp up the difficulty. This is the basis of how to ‘master the basics’. 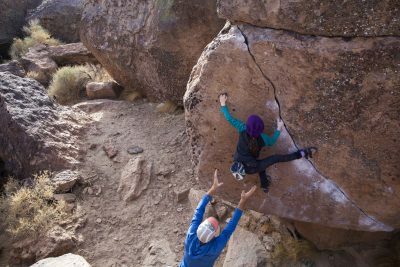 This methodology can teach us a lot about movement and fine tune our own skills so in the end, our climbing repertoire and ability only benefit. If you found this post helpful, considering donating to help cover the time invested to write this! Thanks for reading! Good tips. We often get caught up with finger strength, forearm, shoulders etc and endurance training and forget the importance of feet. I find concentrating on different foot placements, hooks, edges and drop knee’s tends to be an all over workout anyway. The small group I train with have set warm up climbs that are done with specific foot technique that cover the whole range just to remind us to vary the way we use our feet.